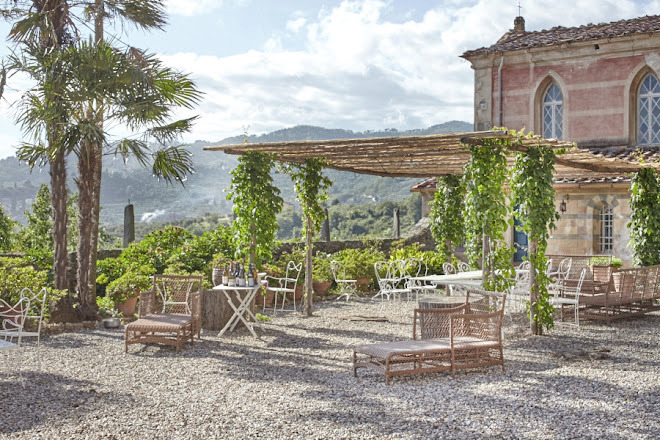 Traveling in Italy, I often wondered what it might be like living in one of the centuries-old villas that dot the Italian countryside. 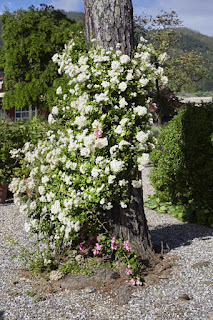 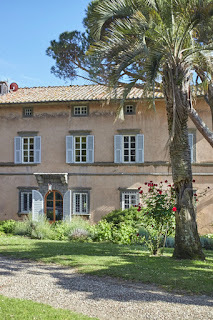 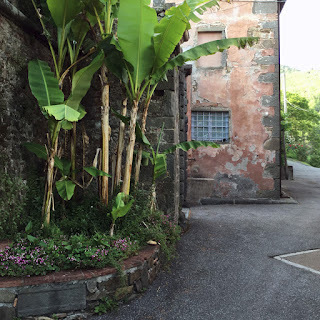 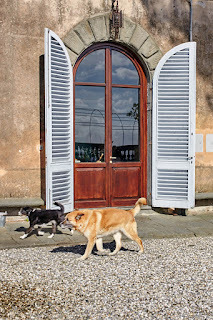 This summer, while scouting the Colline Lucchesi region for Viola's Italy, I finally got a sneak peek into everyday villa life - when I met Laura di Collobiano, who with her two kids and dogs lives in an incredible 15th century villa perched high in the Lucca hills. 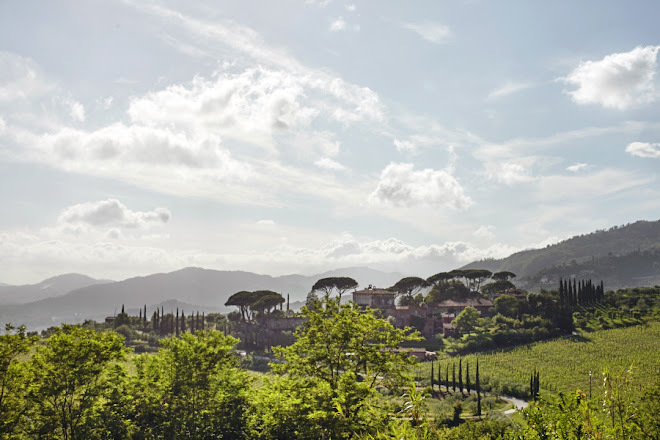 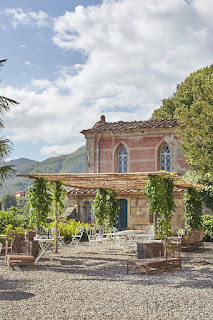 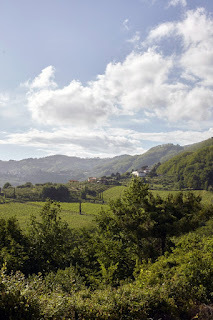 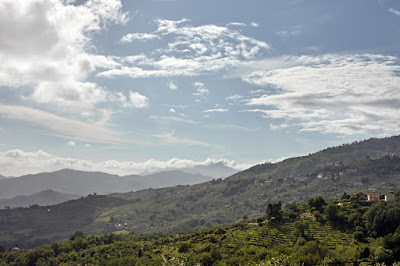 Staying nearby, I had already passed by the fortress-like walls that enclose the villa, admiring its panoramic view terrace and small chapel from below - so was excited to learn the villa was part of the famous Tenuta di Valgiano estate which was on top of my list of places to visit. 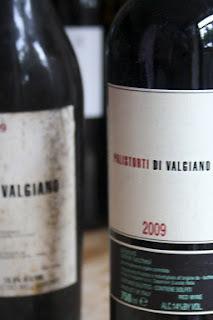 As it turns out, I had been using Tenuta di Valgiano olive oil in our kitchen for years, coveting the fragrant oil as much as the minimalist design of its no-label bottle - not realizing the estate was even more famous for its biodynamic vineyard until I had my first glass of their incredible Palistorti di Valgiano. 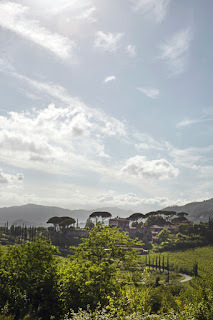 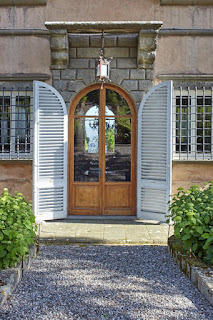 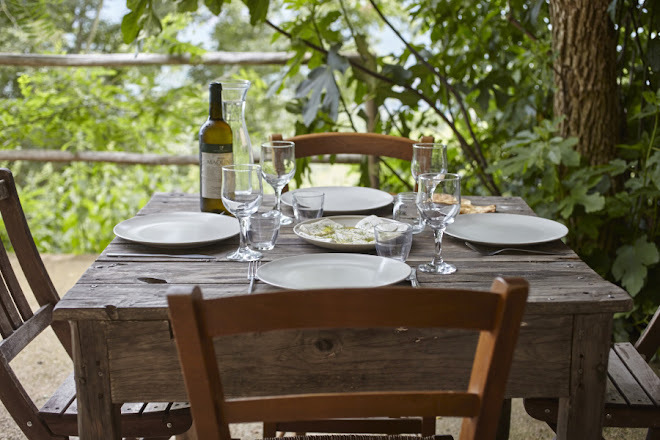 Laura only occasionally opens her home to tasting tours, so it was a treat to get a private tour, take a stroll through the Italianate gardens, taking in the views from the panoramic terrace looking out to the Capannori plains and Lucca below. 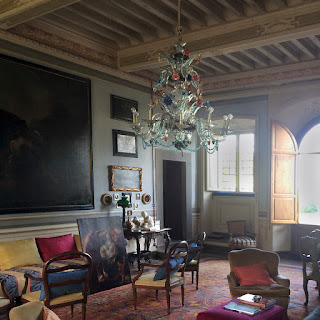 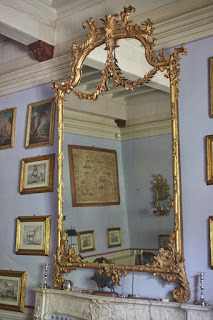 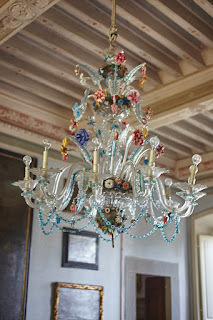 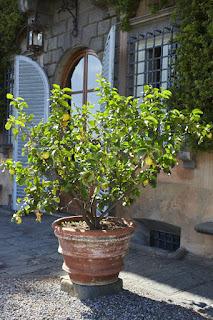 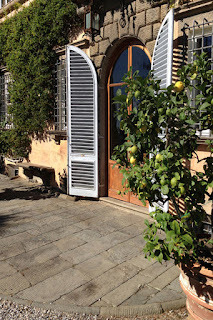 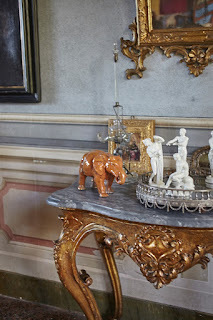 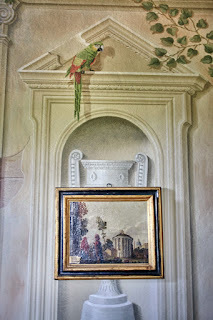 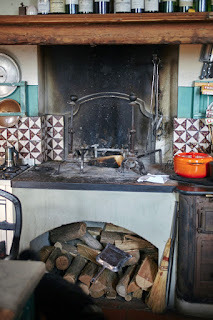 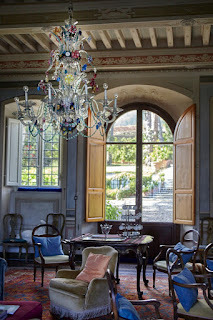 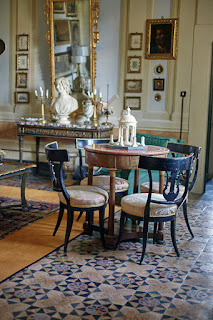 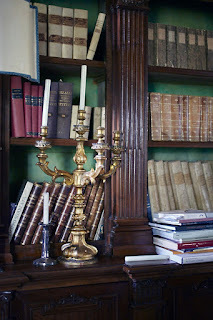 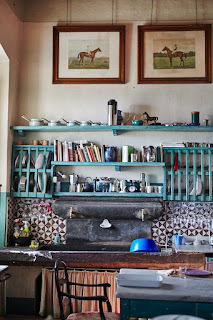 And it was fun to get a glimpse into everyday modern life in a 15th century villa, a grand home filled with period antiques, art, incredible trompe d'œil frescos lining the library walls - and in the center of it all an inviting country kitchen with rustic fire place and vintage stone sink.